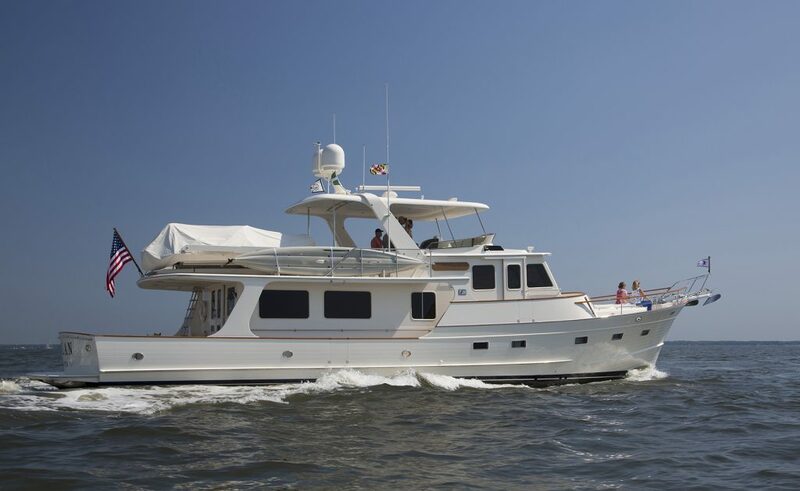 Fleming 65 Motoryacht For Sale- Burr Yacht Sales, Inc. in Maryland & Florida, U.S.
After the introduction of the 75 – now revised to be the Fleming 78 – at the start of the new millennium, there was strong demand in the market for a middle ground between the flagship Fleming 55 and the 75. 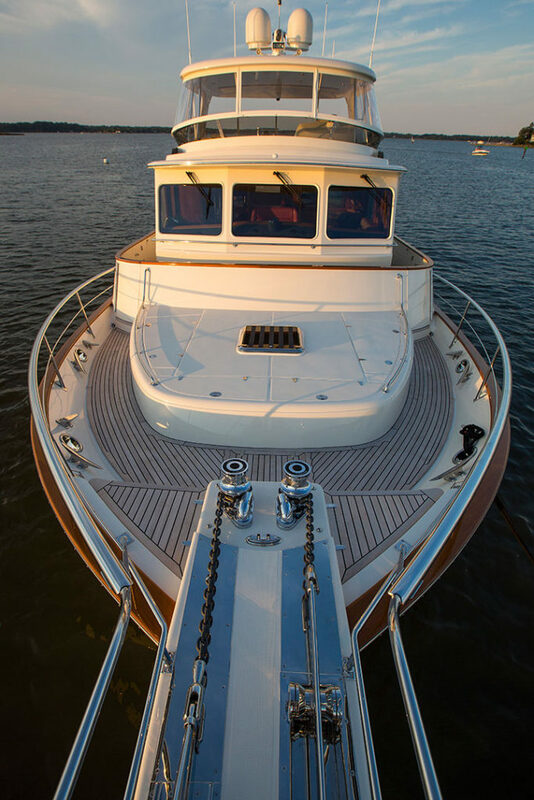 Taking cues from both boats, the 65 boasts classic Fleming lines making it instantly apparent that she shares the same incomparable pedigree. 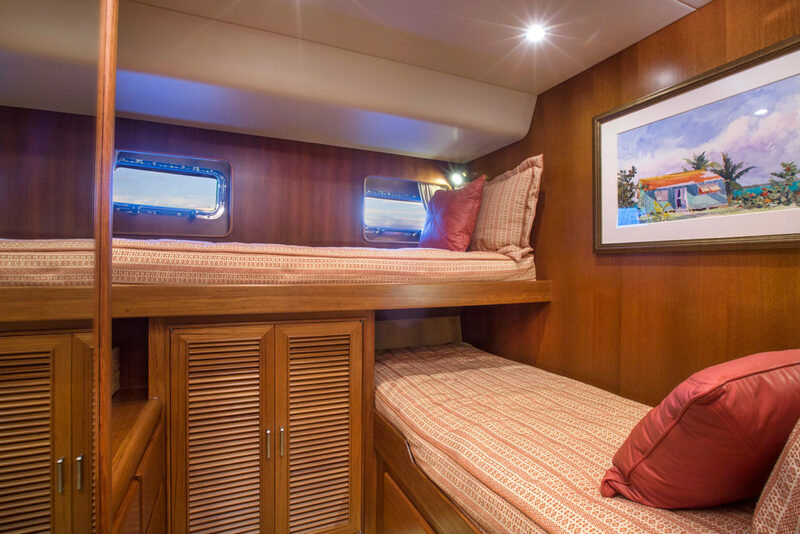 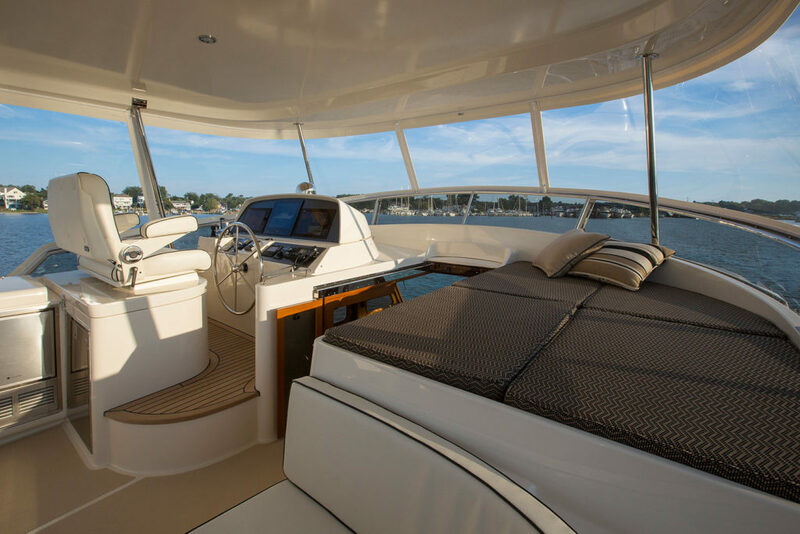 The Fleming 65 provides expanded living and sleeping space yet offers superior visibility – a hallmark of the Fleming design – making her a popular choice for boaters seeking a larger vessel without the need for a crew. 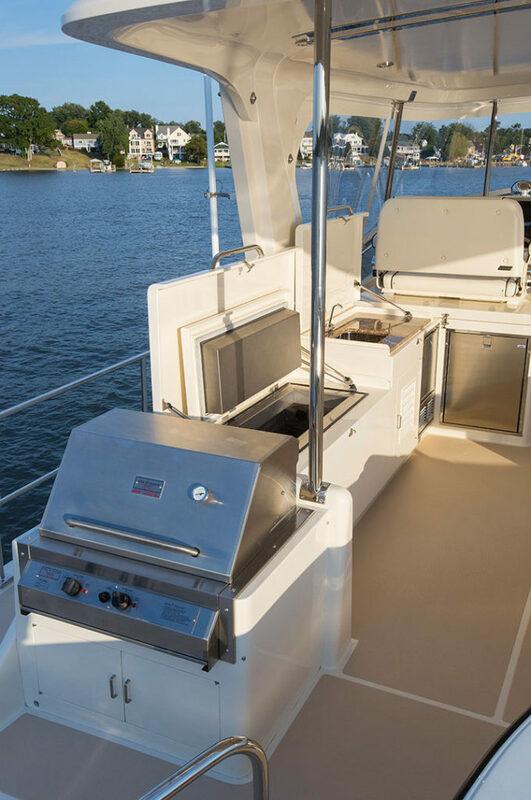 Added fuel storage makes the 65 the perfect option for long-range cruising. 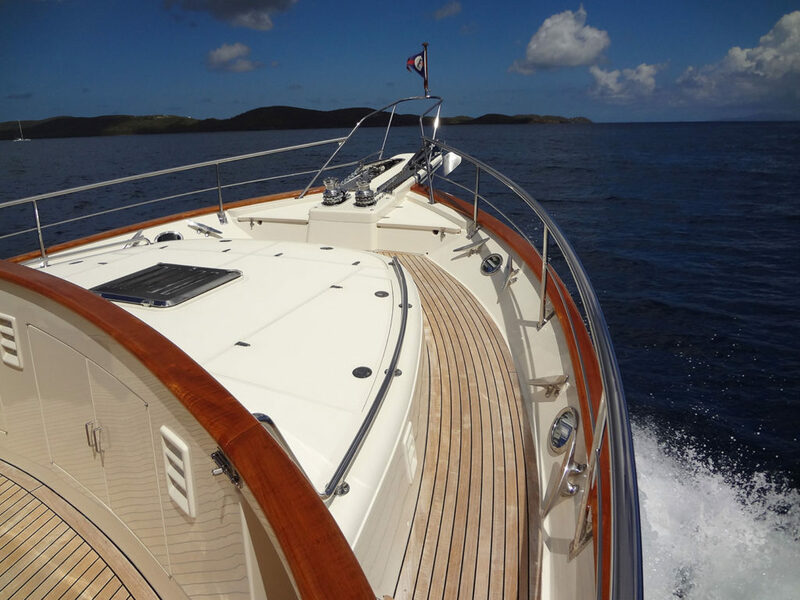 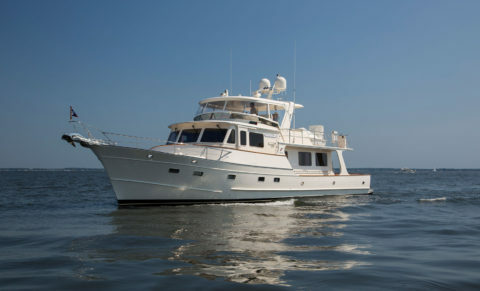 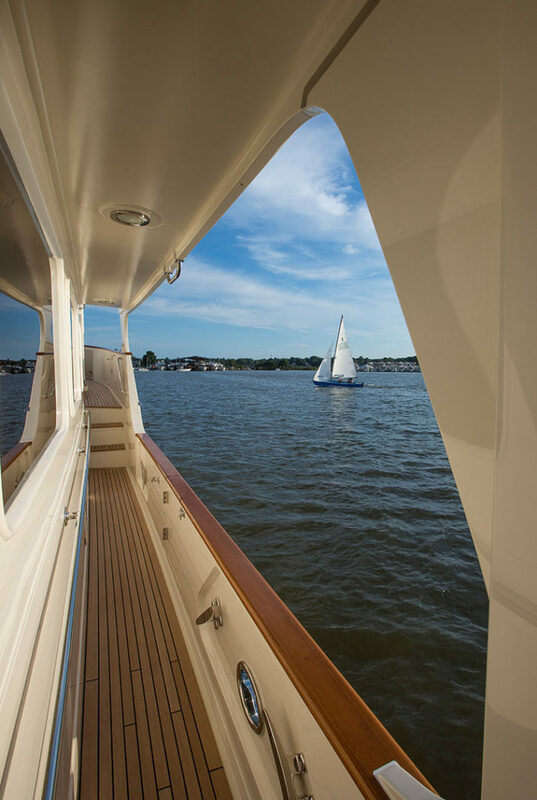 Like the 55 and the 78, the Fleming 65 is low to the water allowing for exceptional ease of access dockside. 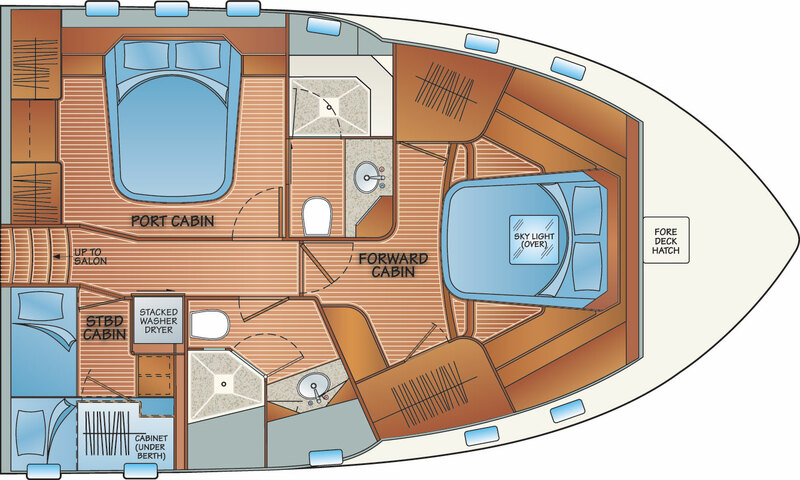 While a notable 18’ 8” beam adds a significant amount of interior space, prop pockets keep the 65’s draft to just five feet with one foot of protection from the running gear to the bottom of the keel. 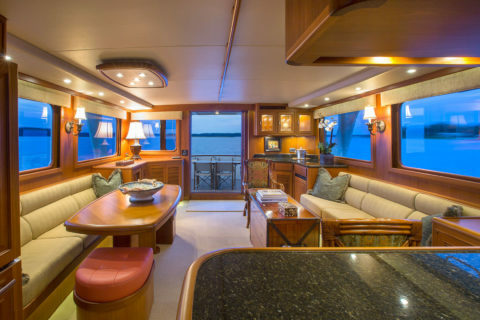 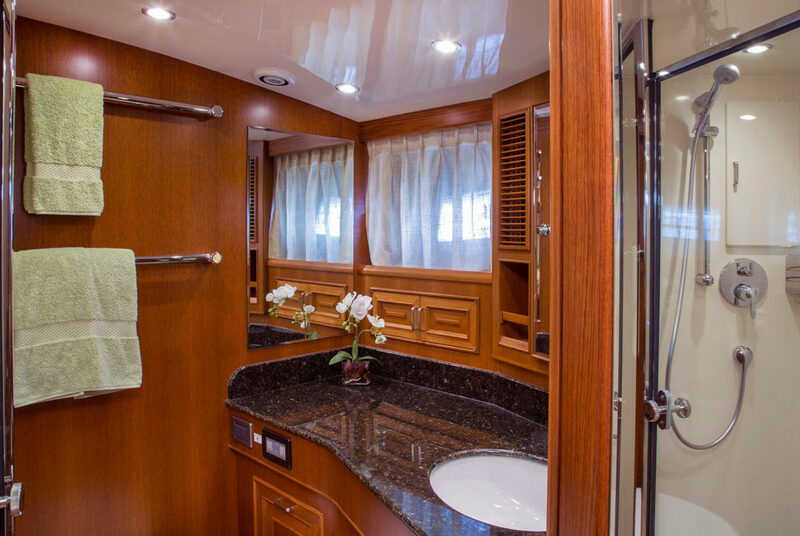 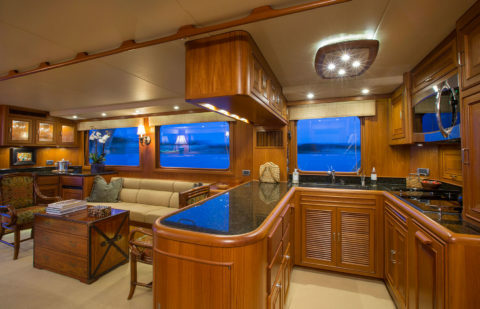 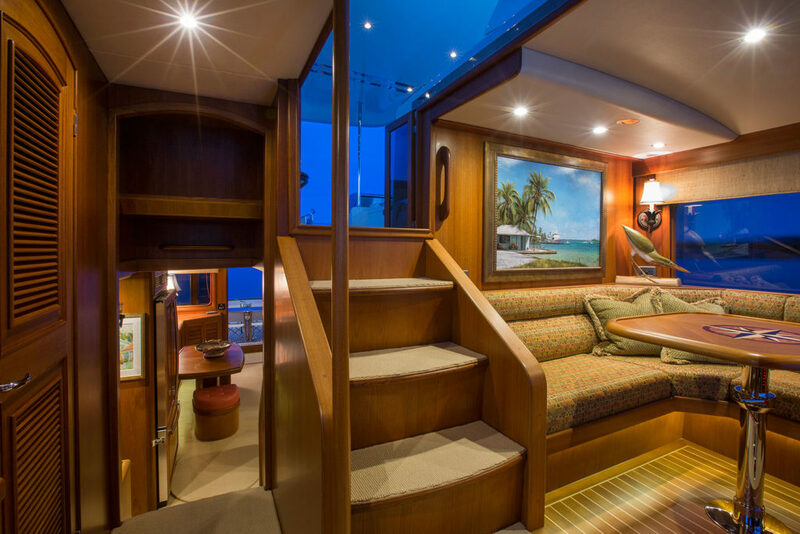 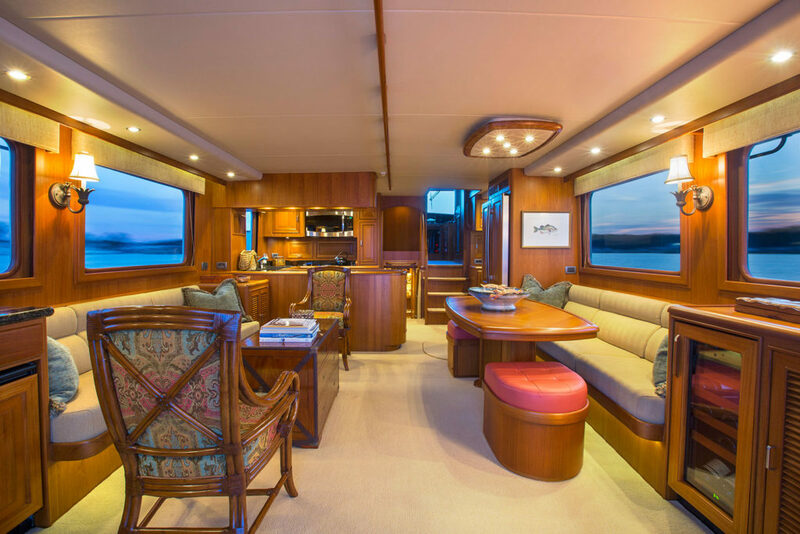 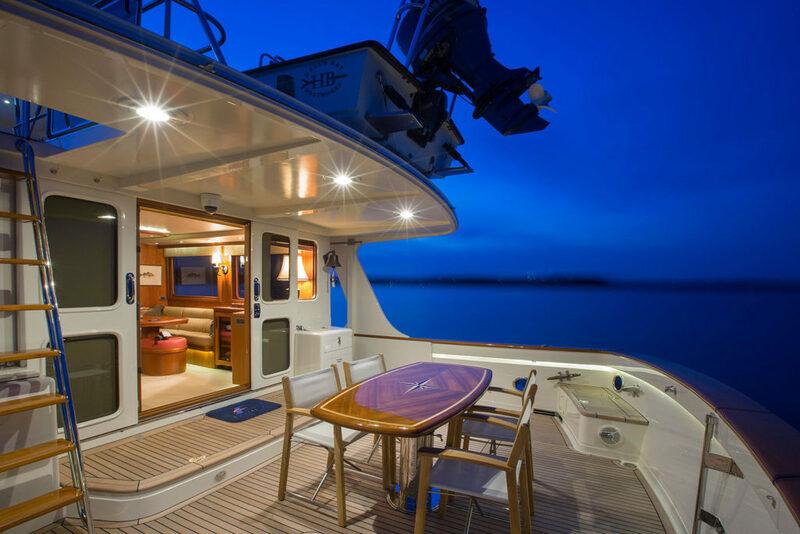 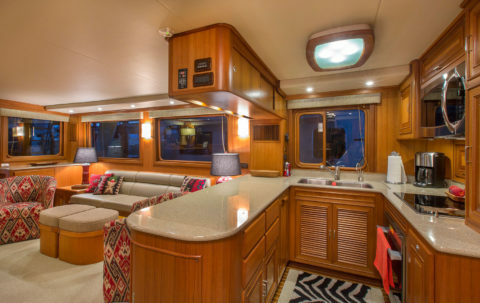 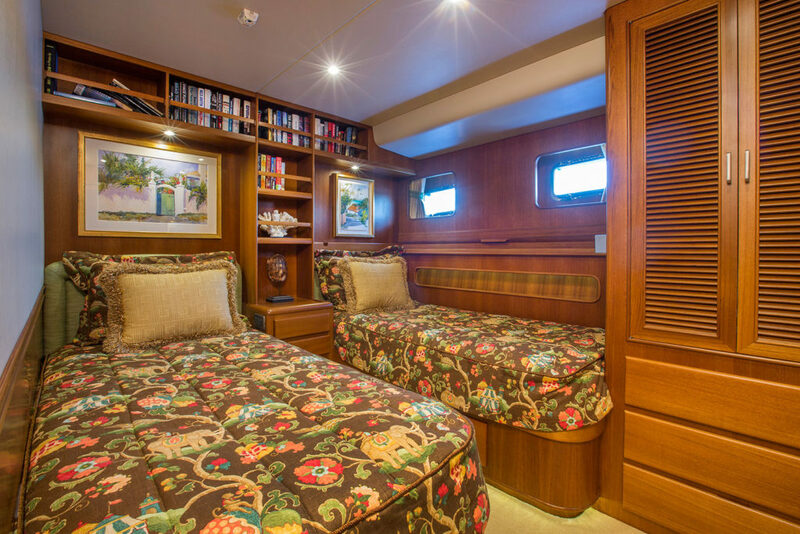 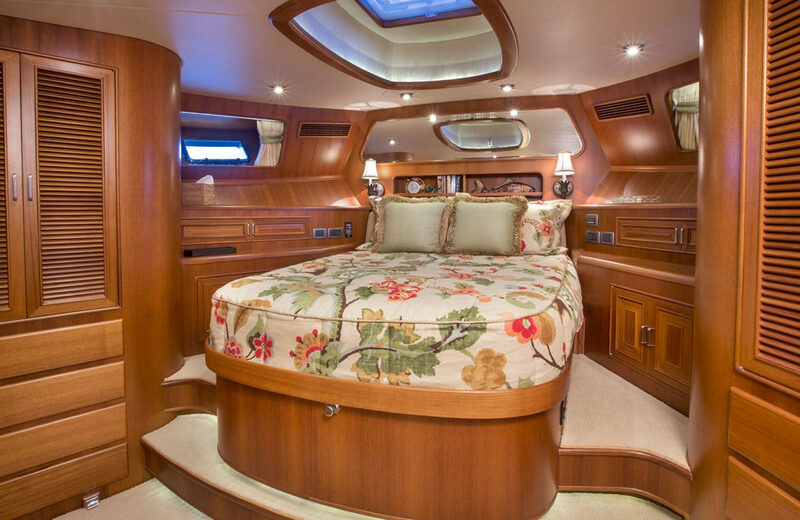 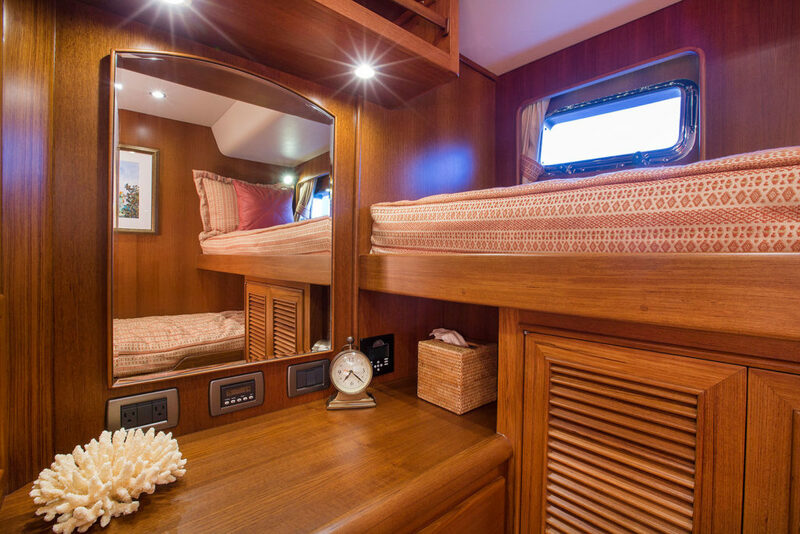 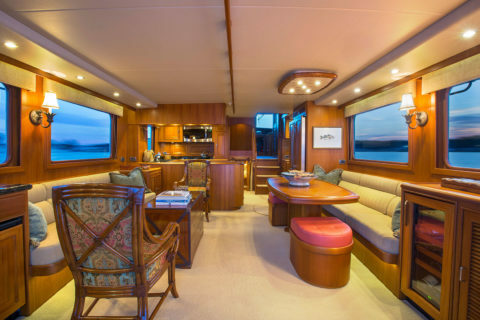 Her interior features the traditional layout of the Fleming 55 which, with the added space, allows for additional customization of the accommodations and salon. 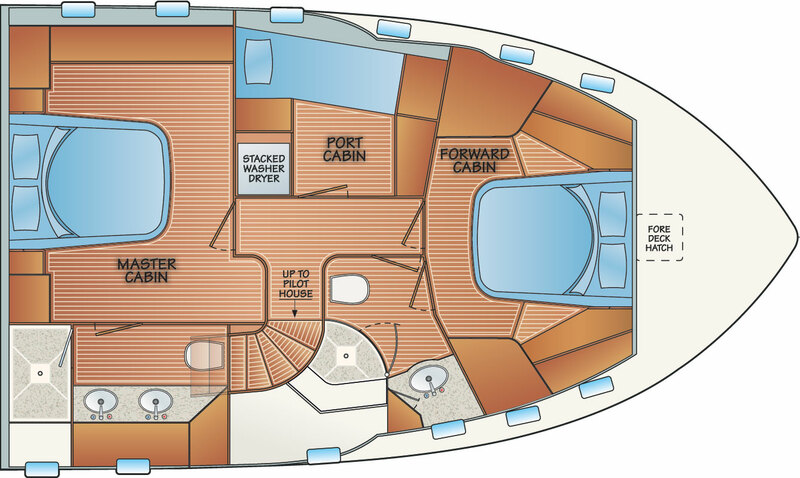 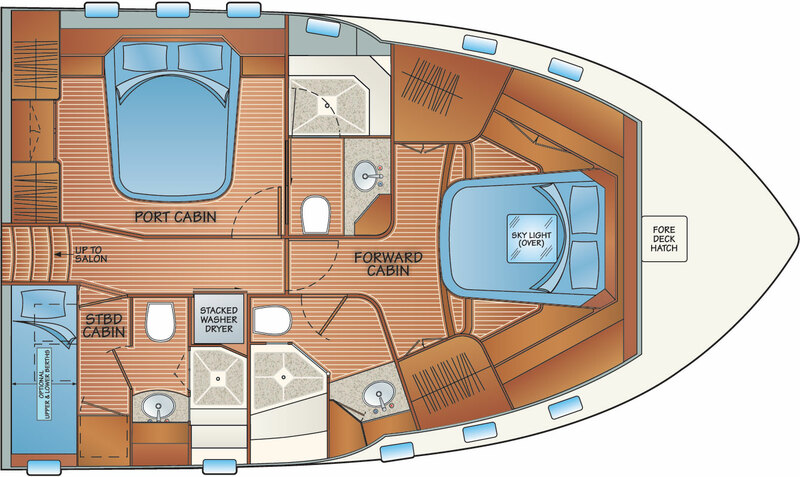 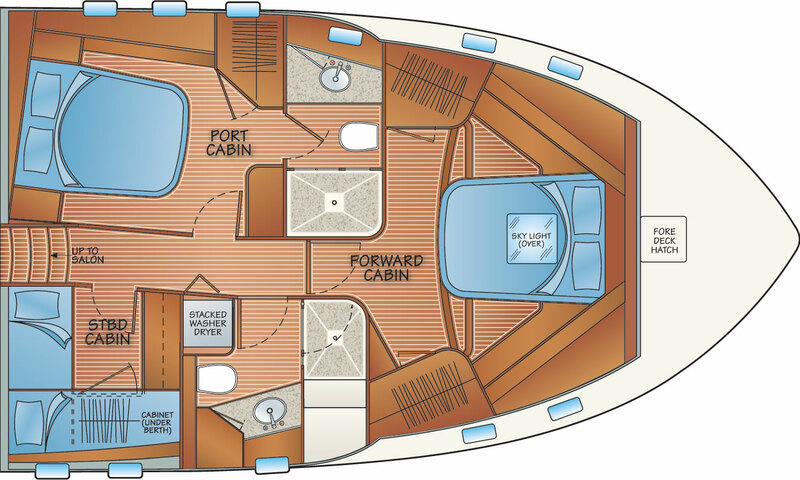 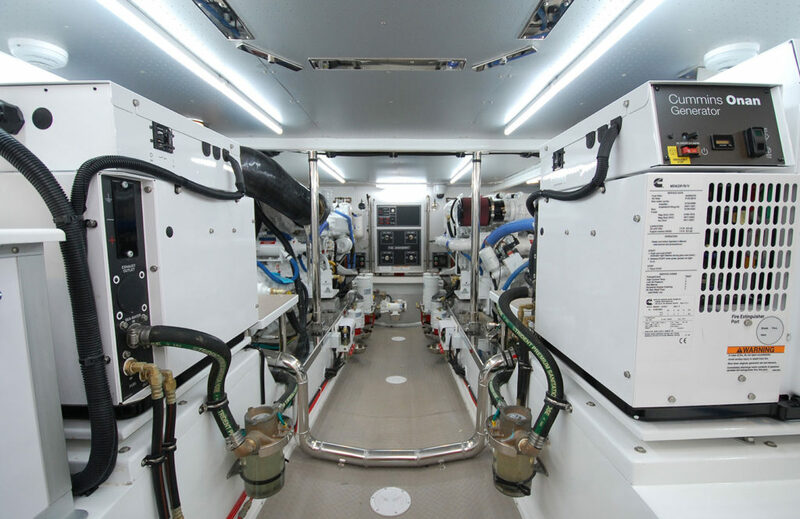 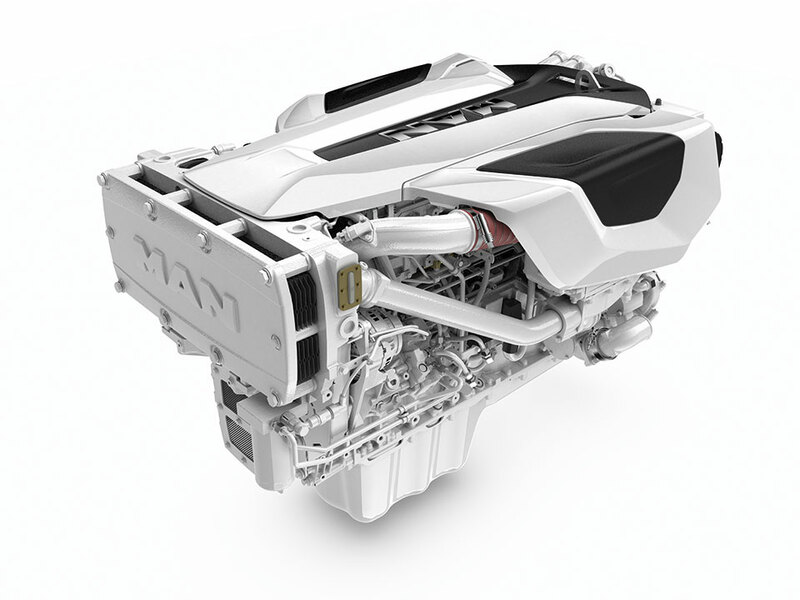 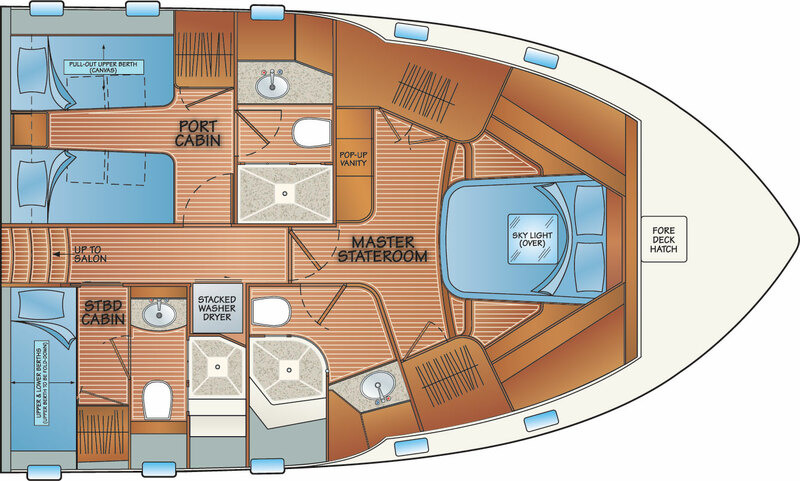 Various stateroom and head configurations are possible, including triple en-suite stateroom layouts or a mid-ship master variant. 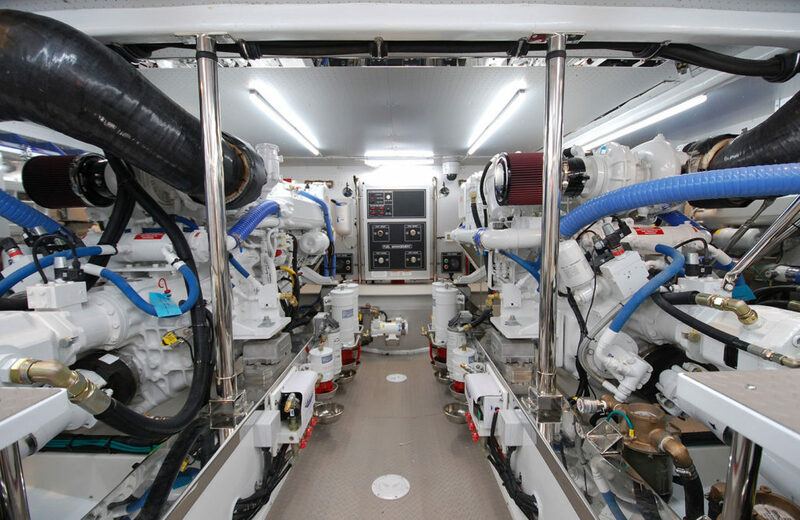 A spacious salon offers an array of seating options for relaxing and dining, while the integrated galley is efficiently laid out; as perfect for preparing a quick bite as it is a gourmet meal. 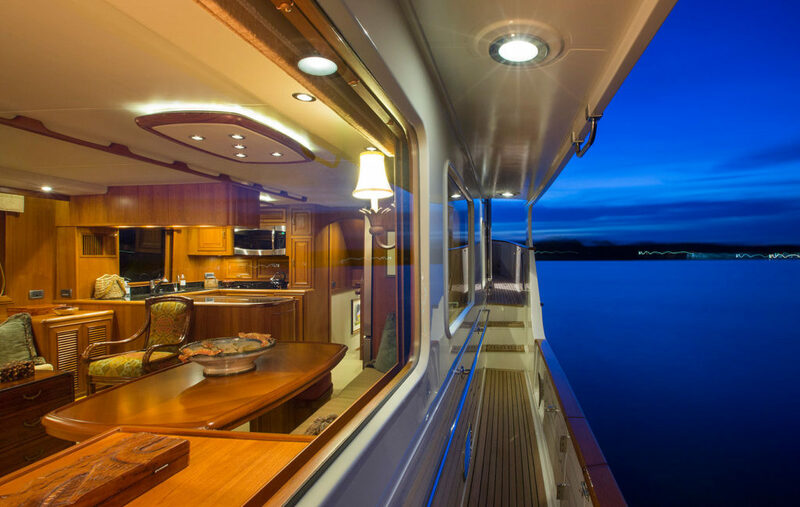 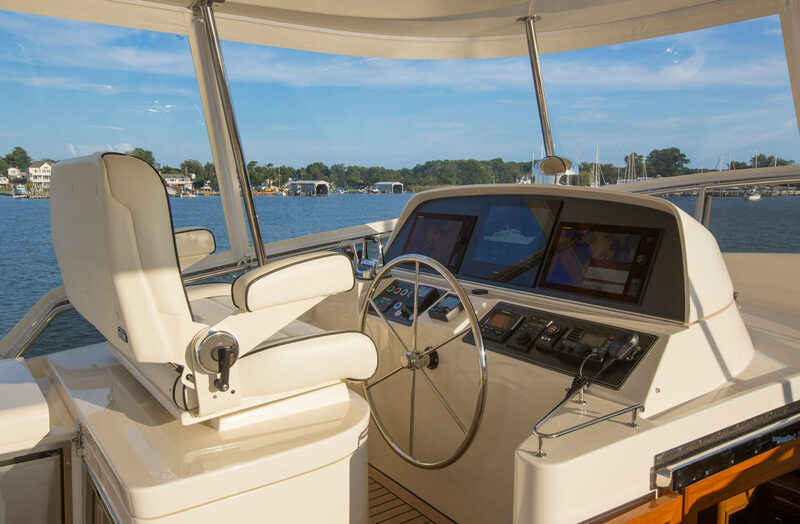 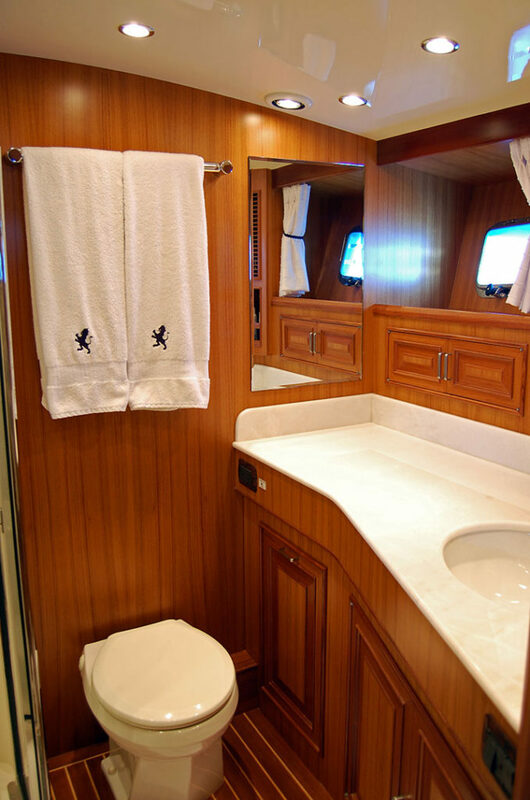 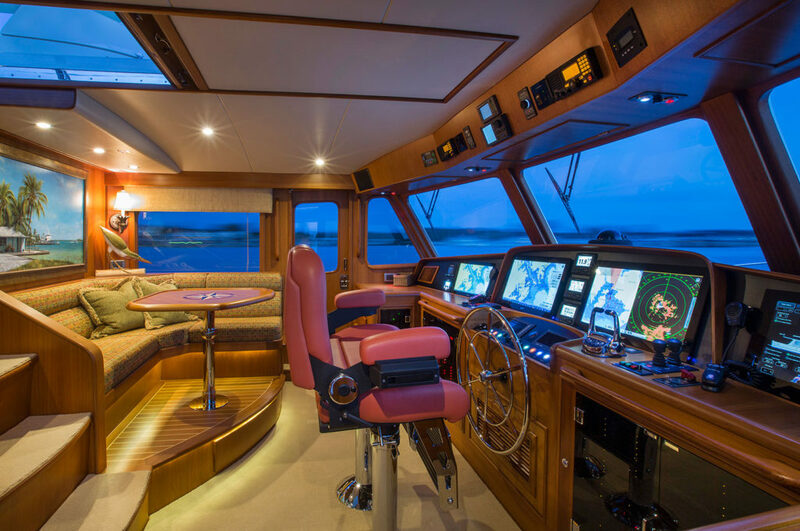 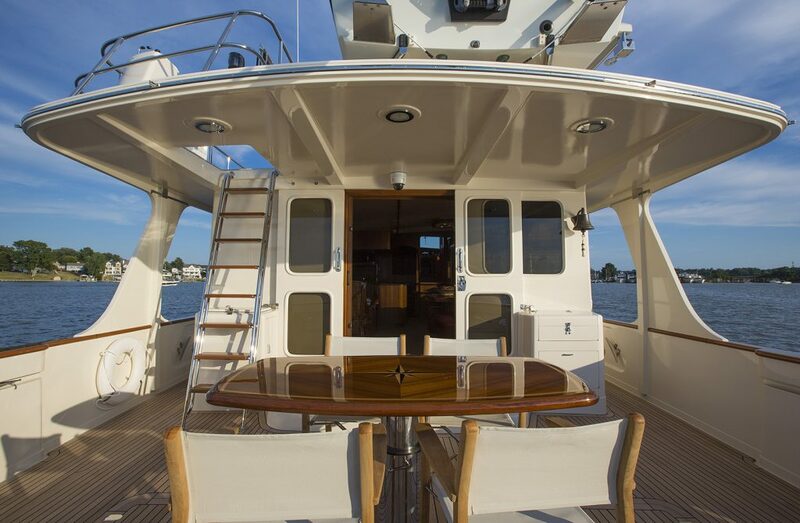 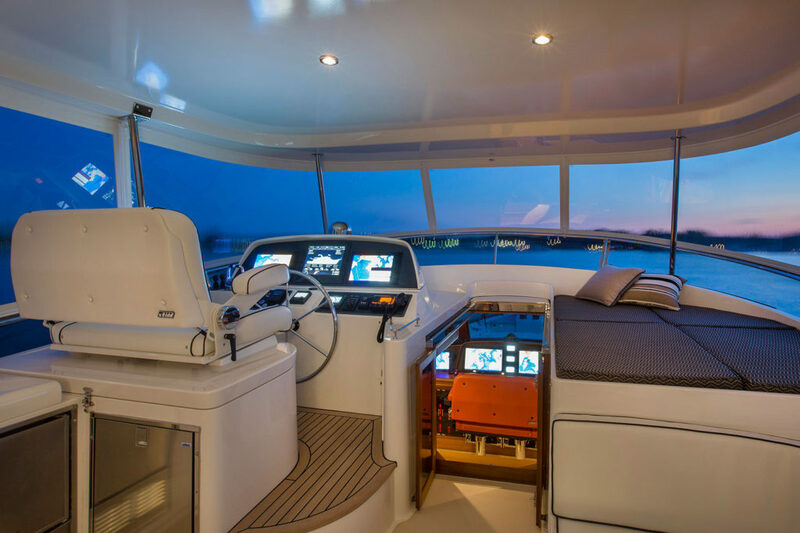 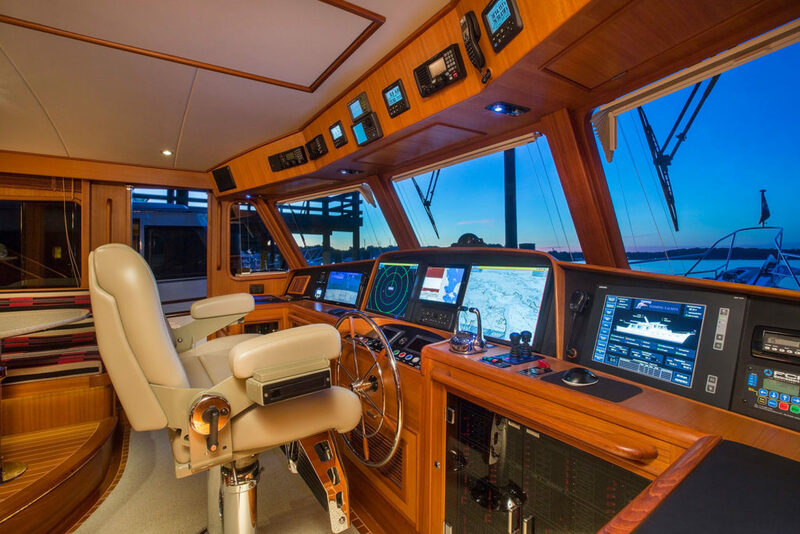 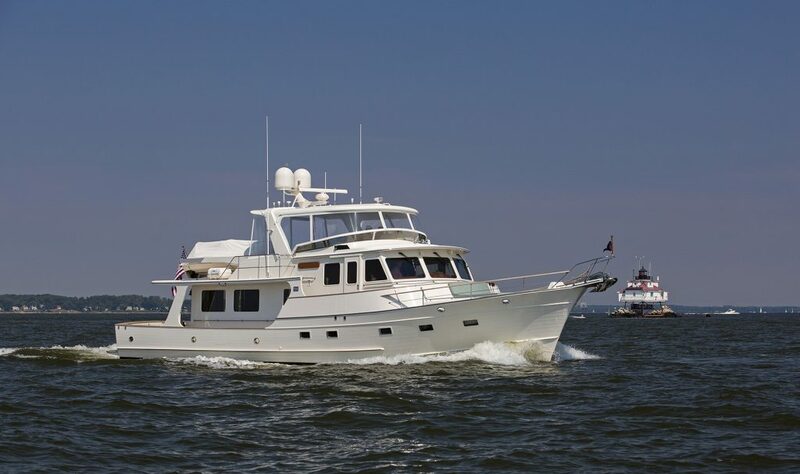 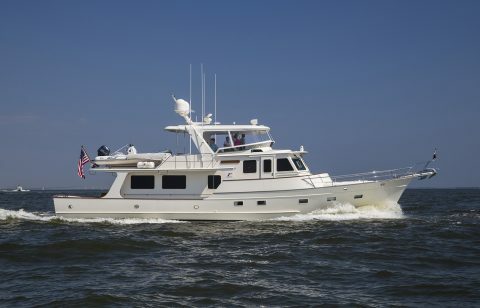 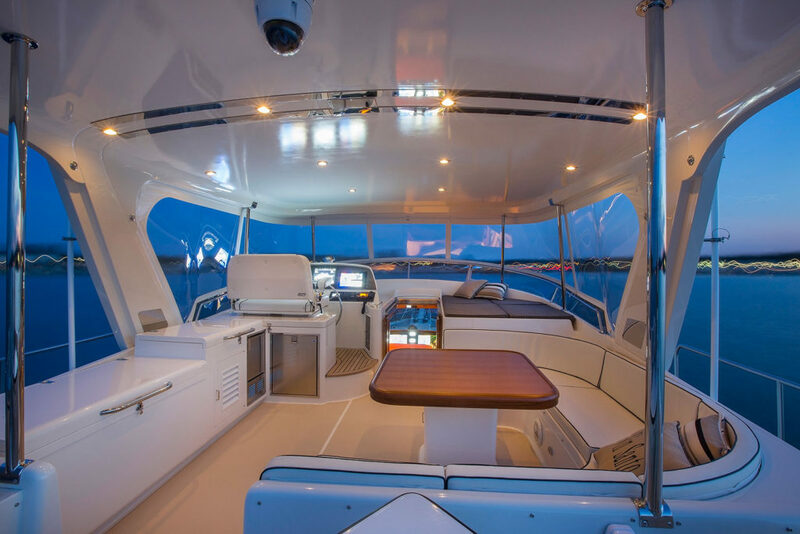 Large windows in the pilothouse provide superior visibility while a corner settee arranged behind a chart table offers a comfortable place to gather while cruising. 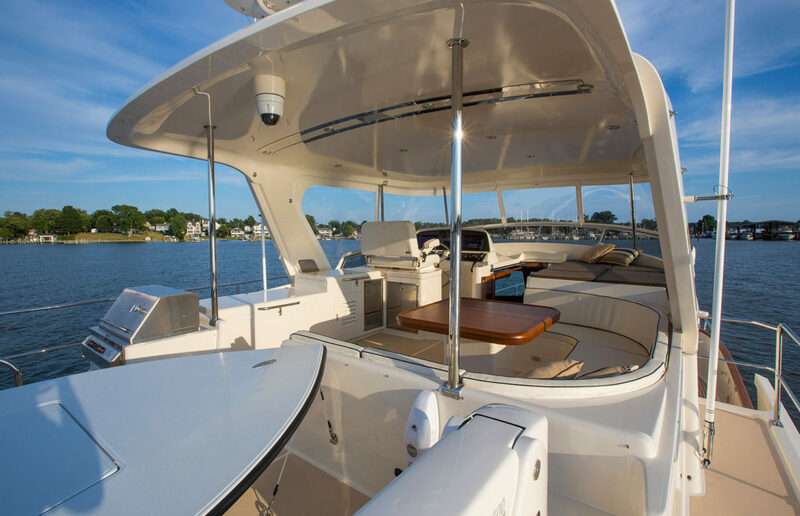 An expanded flybridge has a built-in barbecue, refrigeration and sink, and more-than-ample storage and a wrap-around settee with a dining table arranged under a fiberglass hard top. It is the first Fleming 65 produced (hull 65-001) which has been Tony Fleming’s personal vessel since she was completed. 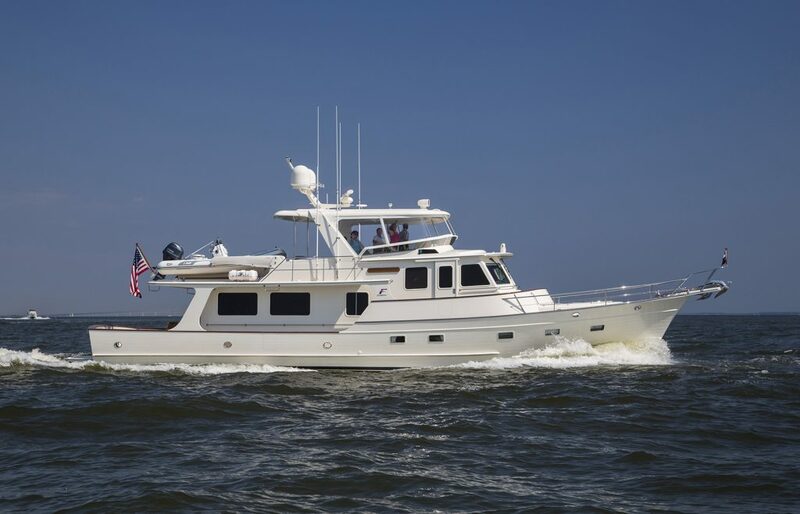 In his ongoing effort to push the Fleming 65 to the limits, Tony has cruised Venture more than 50,000 miles. 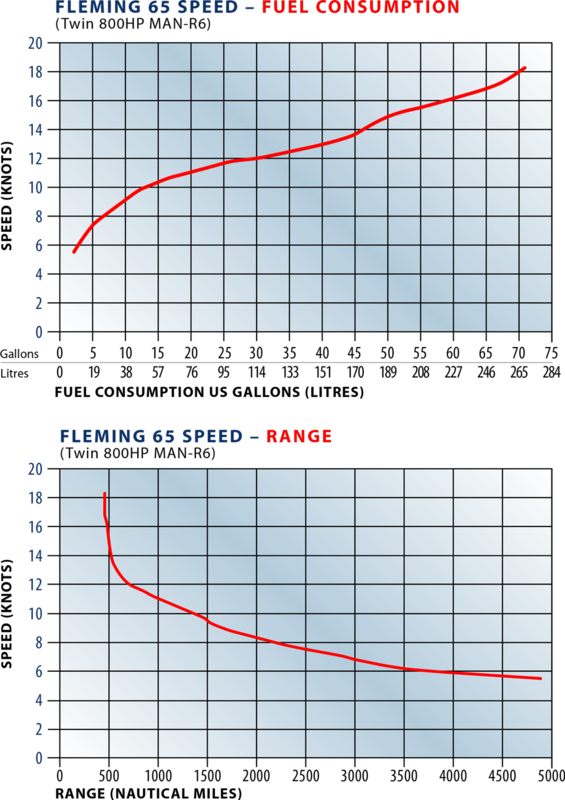 While the Fleming 65 stays faithful to the elegant lines of the 55, it is expansive enough to incorporate design features found on the 78. The 65 is a true standout as a superb pilothouse motor-yacht prepared for any encounter, yet nimble enough for a couple to comfortably operate.